Even on the nights they wobble, they do not fall down. 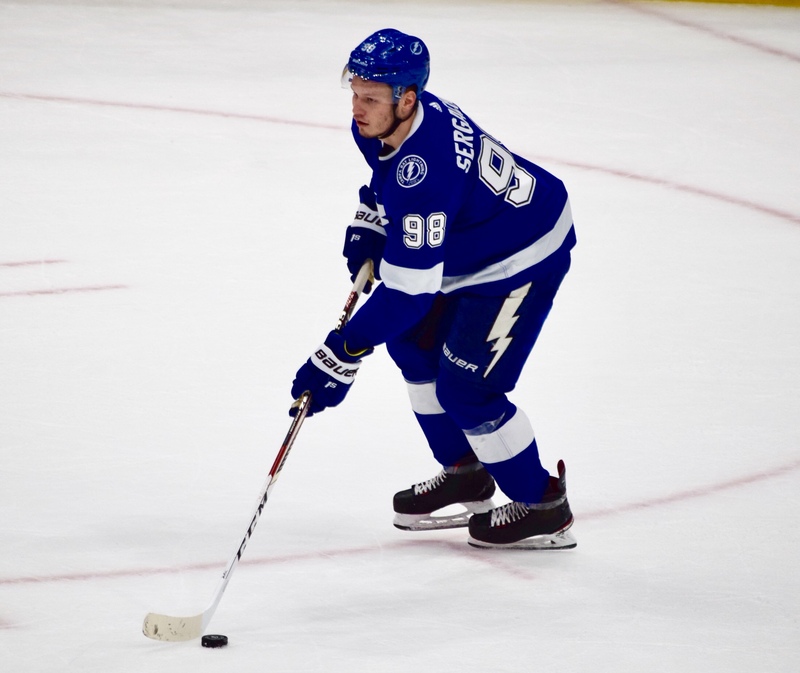 Even on the nights the defense isn't paying attention, on the nights when Andrei Vasilevskiy isn't seeing the puck well, on a night when neither Steven Stamkos nor Brayden Point -- the team's leading goal-scorers -- cannot find the net, the Tampa Bay Lightning keeps winning. 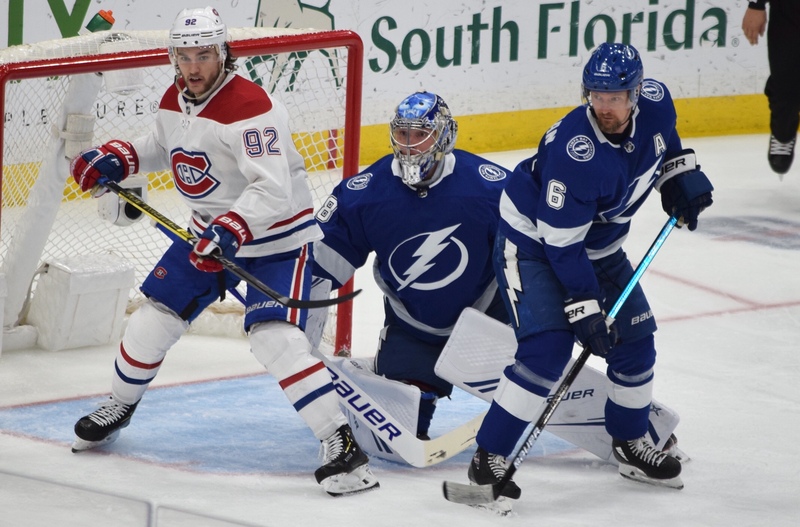 The Bolts stumbled a bit Saturday night, but in the end, they won again in a 6-5 victory over Montreal. It was the team's 14th straight game with a point. second two-goal game of his career. In their last five games, the Lightning has scored 28 goals, but it's allowed 19. The Bolts are 16-1-1 in their last 18 games. Tampa Bay has scored four or more goals in nine-straight games and 28 games overall this season, going 25-1-2 when doing so. 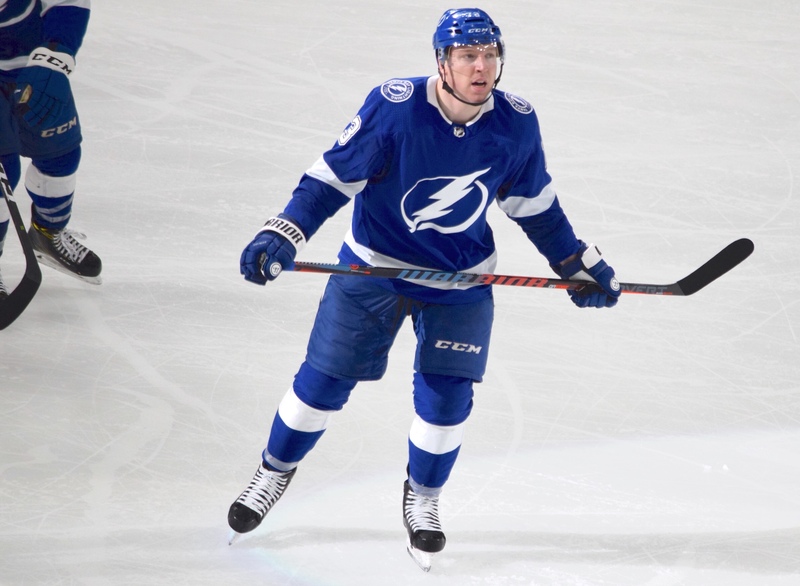 The Bolts were leaky for two periods, but tightened up their game in the third period. They gave up only six shots in the third. Erne was a surprise to provide the winning goal. "I was calling for it so, yeah, I was ready for it," Erne said. "I think he (Yanni Gourde) had an opportunity to shoot as well, but I think he saw the pass was open and made a nice pass." 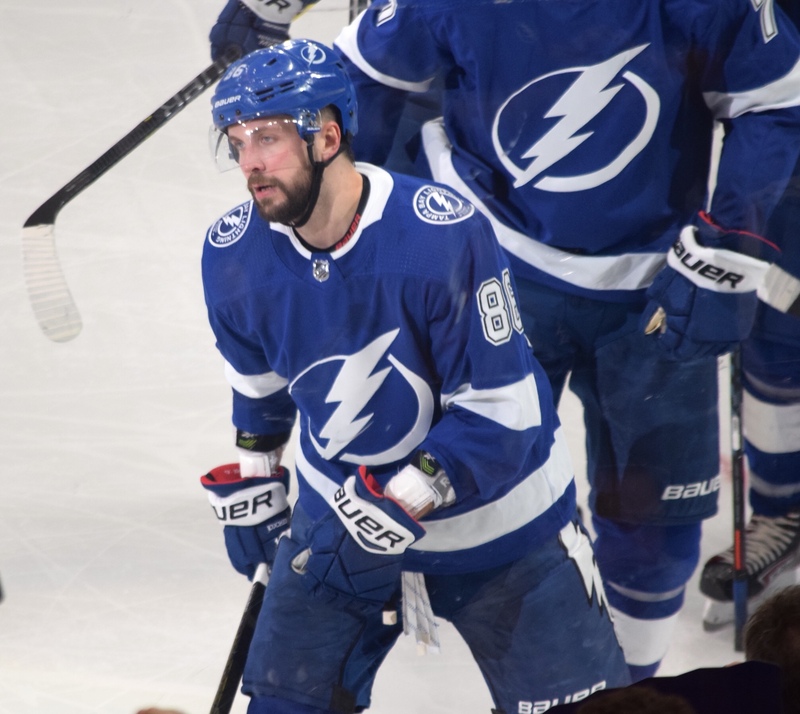 Said Anton Stralman: "I think it just shows the depth we have within this team and this organization, and we see all those guys who have come through our organization these last few years. It's quite impressive the work they do developing players, and it seems like everyone that comes up plays well for us. He's one of those examples." Gourde said the Bolts simplified their game in the final period. 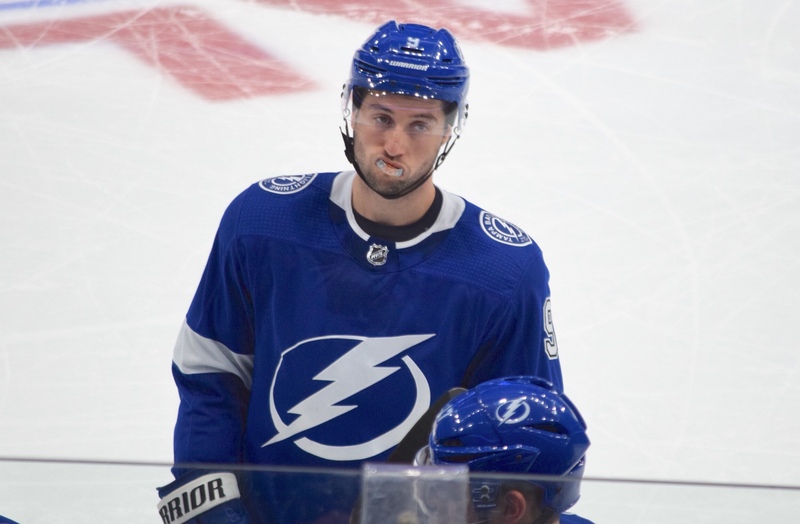 "I think we skated more and we played more simple," Gourde said. "We got pucks deep and when we put the puck deep we're pretty hard to play against because we have a lot of speed on that team and we land fast on the puck. Basically that's how we scored the game-winning goal. The Bolts are now 30-7-2 on the season. Tampa Bay starts a three-game trip on Monday, facing Anaheim. The puck is schedule to drop at 8 p.m. Eastern time. Next post: Random thoughts: Would picking 7th be good?